96% of our customers would and do recommend South Shore Generator. Since the early 1980s, South Shore Generator Service has prided itself on providing our customers with the best products and services available in the industry! We support a variety of customers including commercial contractors, local electricians, businesses and homeowners with a single source for turnkey design, installation and service of the industry’s best generator systems. South Shore Generator is a provider of electrical power generation and distribution equipment for your entire on-site power production needs. 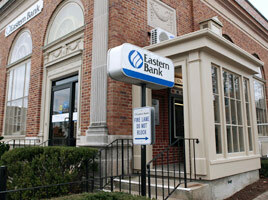 Being located in Wareham, Massachusetts enables same day service to most areas serviced. With over 200 combined years of industry experience selling and servicing generator systems, South Shore Generator has earned the reputation as the expert in the area. Supported by the experts at such well-respected manufacturers as Generac, Kohler, Thomson Technology and Winco, our trained and educated sales and service professionals know how to give you the reliable systems you and your customers should expect. South Shore Generator is a family-owned and operated business now in its 2nd generation of management. We believe strongly in supporting and servicing our customers before, during and after the sale. A+ long standing member of BBB. Whether your need is to power your business to keep on your production schedule or your home to keep your family safe and sound;.South Shore Generator has the product diversity to meet all of your generator requirements. 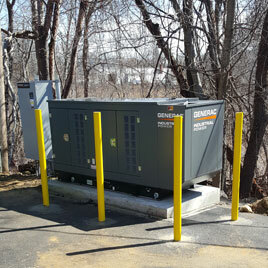 We are proud to sell and service generators from 2kW to 2000kW single set units and up to as large as 100MW utilizing Generac's innovative Modular Power Systems (MPS).